Tasting notes from Jacques Denis: Great finesse and aromas of dried fruit. Long finish. 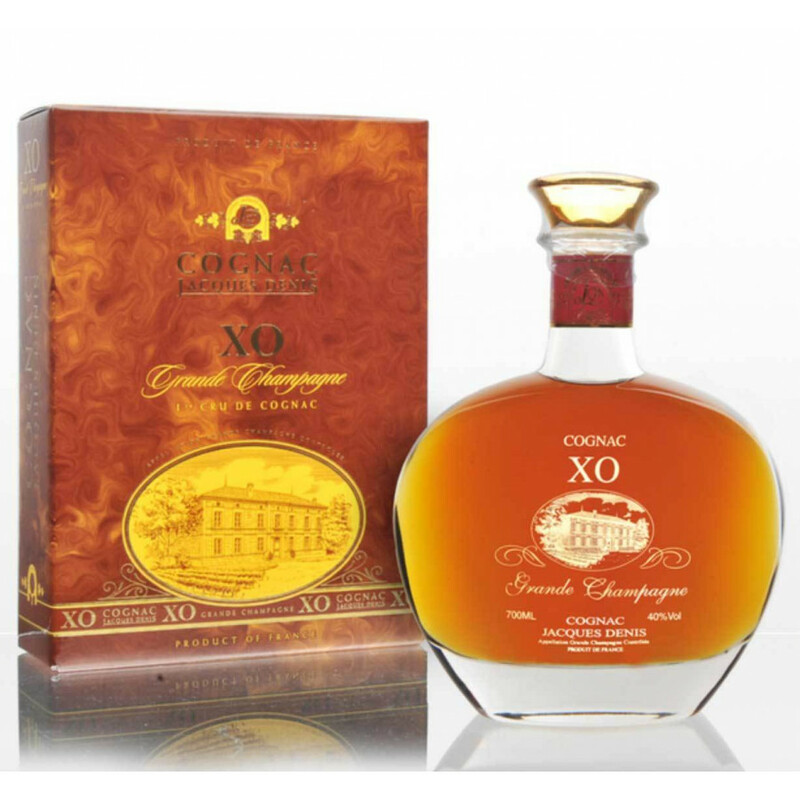 The Jacques Denis XO Decanter Cognac is a great example of a good quality cognac from this artisan producer. Presented in a lovely decanter and presentation box, this is definitely an XO cognac that you'll be proud to keep on display. It's been lovingly created from a blend of Grande Champagne eaux-de-vies, with each component having been aged in oak barrels for an average of 20 years. This is an old quality cognac, as the delightful amber color confirms. Located in the village of Saint Preuil, in the heart of the Cognac region, the family owned house of Jacques Denis Cognac provides a select range of hand produced, artisan cognacs. Tasting notes from Jacques Denis: On the nose a floral sweetness develops into vanilla and wood. The palate is teased with kernal, haseunts, apricots, and almonds. Long aftertaste. Tasting review by Jacques Denis: A range of complex woody and fruity flavors - wood vanilla. Intense and elegeant, this congac has a long and unique finish. Why Pair a Cognac with a Cigar?